THIERRY Neuville took a dramatic surprise win at Corsica Linea-Tour de Corse in France on Sunday afternoon after Elfyn Evans suffered a final-stage heartbreak. 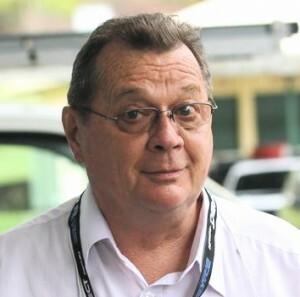 Neuville was en route to the podium ceremony believing he had finished second when he discovered leader Evans had punctured a tyre in the final speed test. 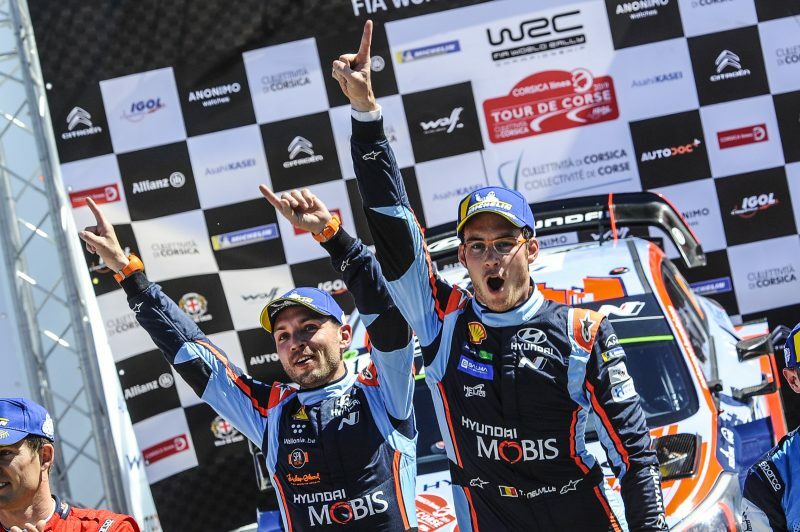 Evans dropped 90 seconds limping to the finish, handing Neuville a victory in his Hyundai i20 that boosted the Belgian to a two-point lead in the FIA World Rally Championship. Neuville carried a 4.5sec lead into the day’s final leg on Corsica’s east coast. His hopes were dented when Evans destroyed him in the opening test, regaining 16.0sec to move into a seemingly comfortable 11.5sec advantage ahead of the final Wolf Power Stage. “It’s difficult to accept but it’s the nature of the sport,” he said. Sébastien Ogier was relieved to claim second, 40.3sec behind Neuville, after a torrid rally in his Citroen C3. Handling problems slowed the Frenchman and despite many set-up changes, he never found the pace he expected. He was 26.3sec ahead of Evans. Dani Sordo took fourth in another i20, despite final-day brake problems. The Spaniard fended off Teemu Suninen’s Fiesta by 6.2sec. Ott Tänak completed the top six in a Toyota Yaris, the Estonian unable to recover from a puncture on Saturday afternoon which cost the lead and a potential second victory of the season. Esapekka Lappi and Sébastien Loeb were seventh and eighth, with Yaris teammates Kris Meeke and Jari-Matti Latvala completing the leaderboard. Meeke provided some solace for Toyota by gaining maximum bonus points for winning the Wolf Power Stage. Round five takes competitors to South America for the first of two fixtures there in three weeks. The gravel-road Xion Rally Argentina is based in Villa Carlos Paz on 25-28 April. COPEC Rally Chile follows on 10-12 May. The closing round, Kennards Hire Rally Australia, will be staged on the NSW Coffs Coast on 14-17 November.